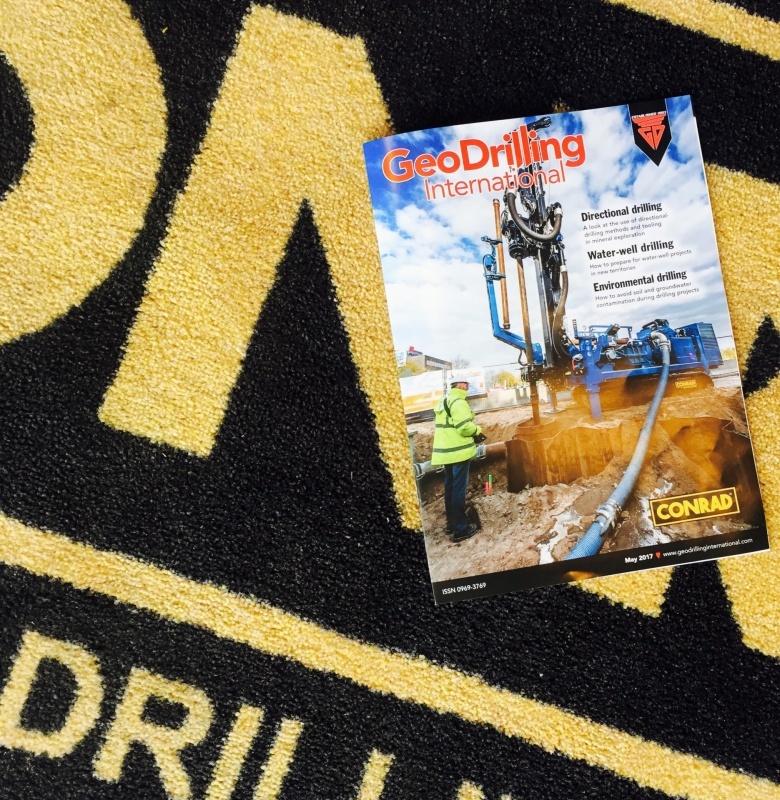 17 May 2017 | Conrad and Henk van Tongeren wrote an article about innovation in watermanagement and dewatering projects which was published by GeoDrilling International Mays issue. Read the complete article below. Water-management and dewatering projects are becoming more and more complicated and extensive with time. 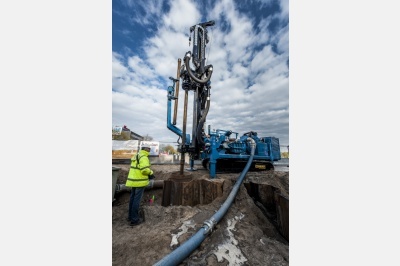 Limited working spaces and stricter legislation regarding groundwater can be challenging, and the adverse consequences of temporary groundwater systems should always be minimised. 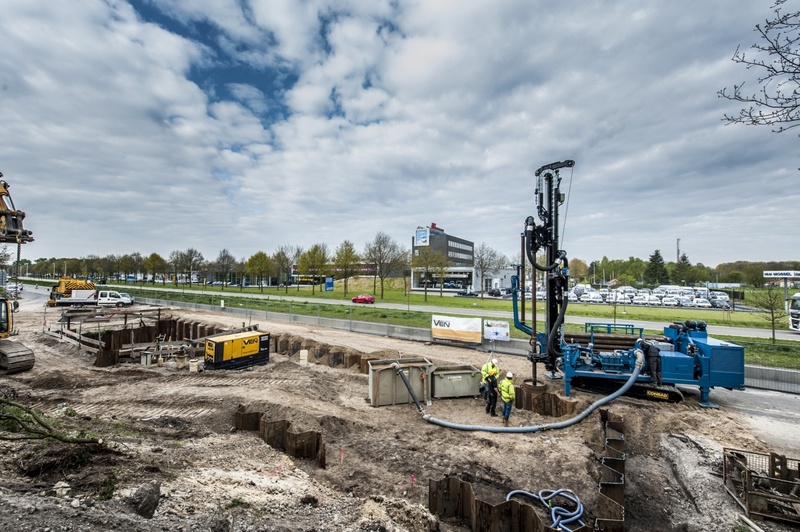 Established in 1949, Henk van Tongeren today specialises in dewatering, storm-water infiltration systems, drainage systems and water-well drilling. With its patented DSI system, the company can tackle the most difficult rainwater challenges, and water can be infiltrated directly into the soil without the need of a pump. Drilling, however, is still necessary. 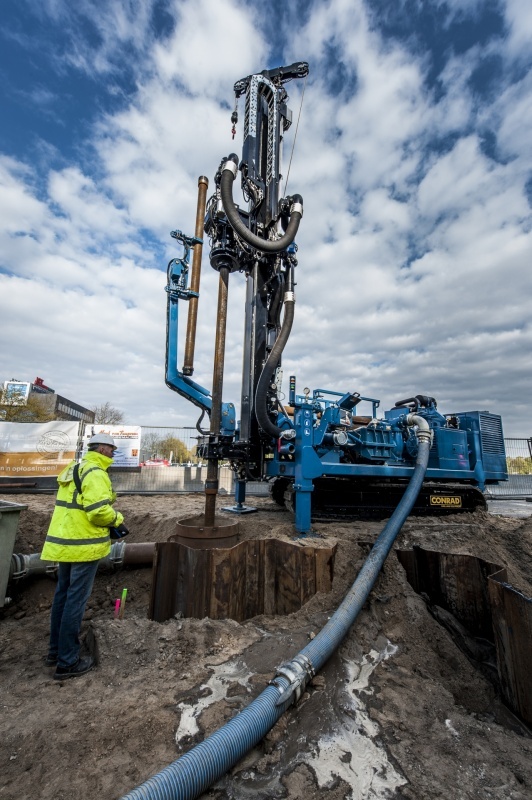 In order to remain at the head of the pack when it comes to groundwater dewatering and rainwater infiltration in the Netherlands, Henk van Tongeren took on a customised Conrad Boxer 200 HD drilling rig at the beginning of April. Accurate control of any machine serves as a benchmark nowadays. 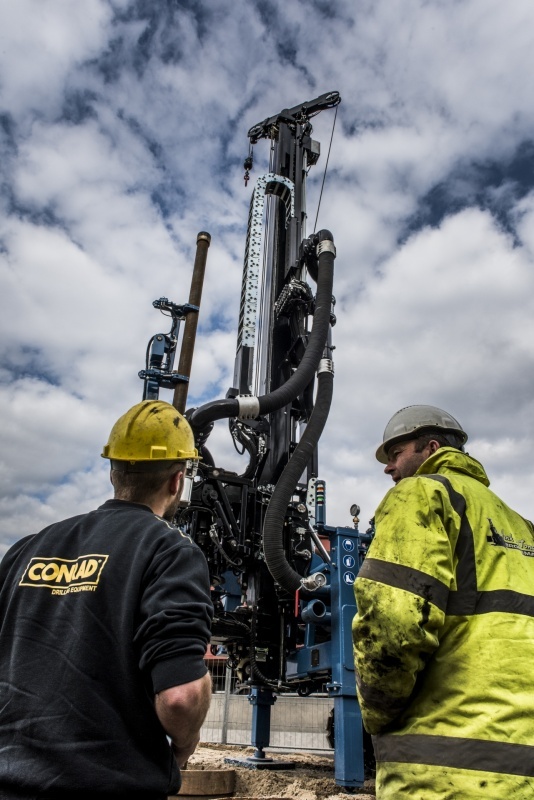 The Conrad Boxer 200 was designed as a powerful, compact and light track-mounted drilling rig controlled by the electrical IQAN system. 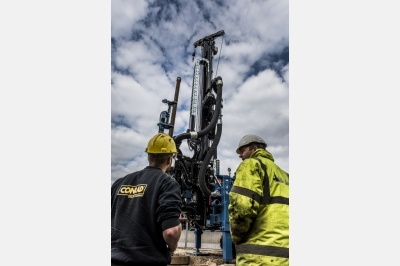 The modern rig, which is solely radio-operated, is easy to manoeuvre due to its compact dimensions in difficult-to-access areas and narrow sites. 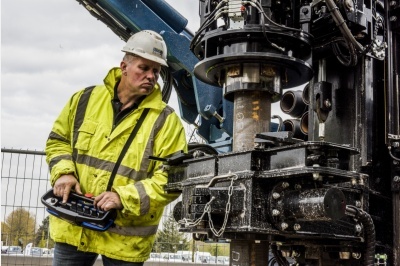 The Boxer 200 can be fitted out based on customer specifications for straight-flush drilling, reverse circulation/airlift drilling, percussion drilling, sonic drilling, coring and down-the-hole drilling. • High engine performance that increases productivity. “The cooperation between Henk van Tongeren and Conrad is based on decades of experience. The company’s very first machine was also a Conrad machine. The continuous innovation of machines and requirements is the main reason we work together with Bram Muurlink and his team,” says owner Guido van Tongeren. With the Conrad Boxer 200, Henk van Tongeren can handle a variety of projects. Currently the company is managing several water-related projects in the Netherlands. It is responsible for water management for the A9 highway improvement project in the centre of the Randstad, and the N31 road in Harlingen on the coast of the northern province of Friesland. In Putten, in the centre of the Netherlands, Henk van Tongeren manages continuing challenges relating to water issues within the Life Aerfit rainwater infiltration project. In the next year, it will carry out 600 drillings in cooperation with the government to place fast, high-volume infiltration (FHVI) wells. The Conrad Boxer 200 HD was specially designed for this job. 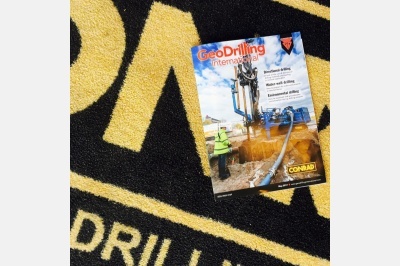 In addition, this drilling installation will also be used for future projects. The need for seamless, permanent storm-water systems continues to grow. With the changes in global climate and the increasing need for underground infrastructure, a compliant solution is needed. With the development of the FHVI/DSI system, Henk van Tongeren has created a solution that is easy to install for optimised water management with many economic benefits. The most important one is: there is no need to build new sewers. Therefore the further development of the FHVI/DSI system, in cooperation with the O2DIT Foundation, has great priority within the organisation. “Our forecast is that rainwater will increasingly be drained by permanent return systems. Water will be transported to the soil in a natural way, which will exonerate sewer refinement substantially. Needless to say, our clients and the government are very pleased with these results,” says van Tongeren.